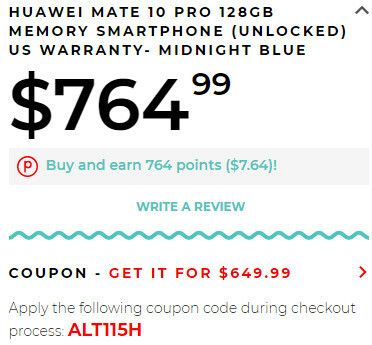 Last week, we told you about some deals involving the Huawei Mate 10 Pro, which was offered by the likes of Best Buy and Newegg for $699.99 (instead of the original official price of $799.99). Those deals are no longer available now, and Best Buy will even stop selling the smartphone altogether. Fortunately, if you want a Mate 10 Pro, you can still buy it at a discounted price, thanks to a new offer found at retailer Rakuten. 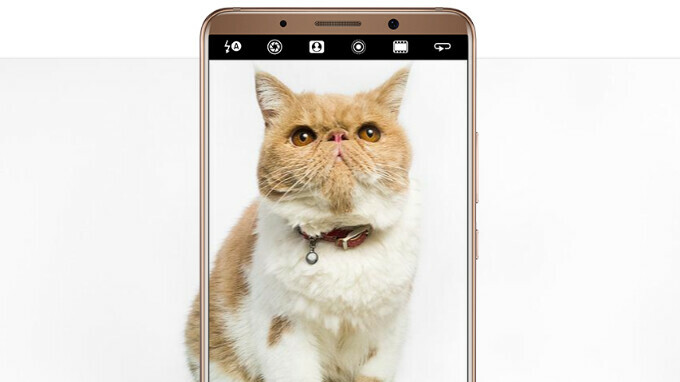 The Huawei Mate 10 Pro normally costs $764.99 at Rakuten, but you can get it for just $649.99 - that's $150 off the official price - if you apply the code ALT115H at checkout. The deal requires a Rakuten account (free to create), and is valid until March 30 (this Friday). US warranty and free shipping are included. The Mate 10 Pro is unlocked and compatible with GSM carriers like T-Mobile and AT&T, but you won’t be able to use it on CDMA carriers (Verizon, Sprint, US Cellular). If you want to find out more about the smartphone, you should read our Huawei Mate 10 Pro review.